“Failing to plan is planning to Fail” So Always Create a Business Plan For Your Business. “Failing to plan is planning to Fail” is a very common axiom used in management. This is extremely true since planning dictates every sphere of business, small or large. Hence every successful enterprise has a business plan. Indeed, a good business plan serves as the backbone of a venture. 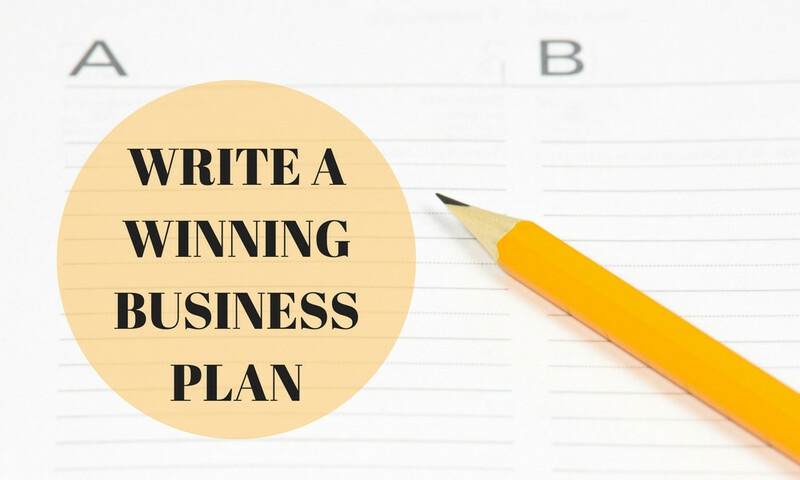 Writing a winning business plan is no cakewalk. It requires astute knowledge and realistic projections about a lot of elements that concern the enterprise. An entrepreneur can hire professionals to draft a great business plan. However, the service is rather pricey. Instead, a prospective entrepreneur can also craft a winning business plan with some guidelines listed here. Defining the mission and vision is the most important feature of drafting a winning business plan. A mission statement clearly outlines how the business wants to attain a specific market niche or position in future. It includes points such as the uniqueness of the business or unique selling proposition. Other elements of a mission statement are charting the route from current to the intended position. A good mission statement defines core values of the business that serve as guidelines for the entrepreneur, management and staff, suppliers, customers and all other stakeholders. The vision statement defines where a business itself this niche. It also speaks of the nature of the business and the reasons for its establishment. A good vision statement serves as encouragement to the entrepreneur, management and staff. It subtly lets them know about efforts they need to exert to attain that position. It provides clarity about the business’ objectives to all stakeholders and leaves no scope for any ambiguity. A detailed description of existing conditions in the market is another important feature entrepreneurs need to consider to craft a winning business plan. This requires an in-depth study of the market, competitors, prices offered by peers, demand for a particular product or service, projected growth in the industry and target demographics. Writing about market realities gives the entrepreneur, management and staff as well as other stakeholders, an exact idea about the task ahead. It helps to draw another feature of the business plan: the marketing strategy. Management and staff gear themselves to counter competition and target the right customers through market realities mentioned in a winning business plan. As a renowned American businessman and writer Peter F. Drucker puts it, every business has two functions: marketing and innovation. Unless a business is marketed, it cannot record profits. Every major brand in the world spends billions of dollars on marketing the business through staff, advertisements and other promotional activities. Implementing a marketing strategy can be cost intensive. Faulty or miscalculated marketing plans can backfire severely causing a business to accrue losses. Investing less in marketing can stunt the growth of a business. It is essential for targeted customers to know about the brand and its benefits. Adding an excellent marketing strategy is essential to craft a winning business plan. Payrolls constitute by far, the biggest expense for any business. Investing on too many staff means long payrolls that may not necessarily translate as higher profits. On the other hand, fewer employees can cause a business to lose on potential customers. It can leave workers stressed and lead to high attrition rates. Managing human resources is often tricky for every business. A departing employee causes expense to the business in terms of fresh recruitment and training. Further, stakeholders including investors may wish to know about people who are driving the business, their experience and expertise in the field. Hence, it is vital to include proper details of staffing and human resources in a business plan. To craft a winning business plan, it is best to provide brief biographies of key persons involved in the business, including the entrepreneur. A business exists to make profits. Else, it would be known as a charity. Regardless of the source of the capital, a winning business plan must include proper and realistic projections about return on investment. This benefits entrepreneurs as well as any investors. Most entrepreneurs wanting to launch a venture seek funds from lenders, Venture Capitalists and crowd-funding platforms. They invest money only if Return on Investment (RoI) is viable and somewhat guaranteed. Including a section on RoI also enables entrepreneurs to keep tabs on the performance of the business. Should the returns be less during a specific time span, entrepreneurs can review marketing and other policies and take corrective measures to reach the desired goal. It is not sufficient to merely craft a winning business plan: regular reviews of all its elements are essential. Such review helps take corrective measures or benefit from various scenarios. It helps keep tabs on income and expense to help minimize losses while optimizing the efficiency of the business and its profitability. Hi All! I am Sanket, A Digital Marketer, Blogger and a Writer.